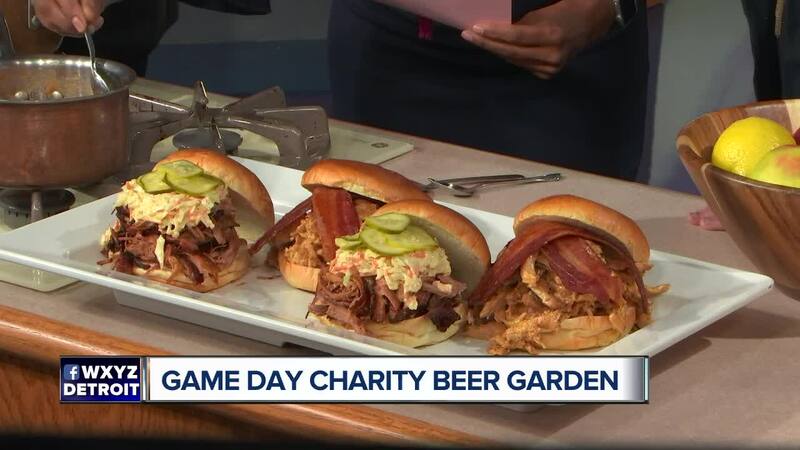 Game days just got better with a food truck rally & craft drafts at the Game Day Charity Beer Garden benefiting the Cancer Support Community of Greater Ann Arbor! The event is held during every University of Michigan home football game at Stadium Club, Ann Arbor (327 East Hoover). The comfortable family-friendly garden atmosphere is all the fun of tailgating without the work of setting up. Just 450 feet from the stadium, guests will enjoy watching the famous marching band pass the garden while entering the stadium. The garden will feature food trucks from Slows Bar-B-Q and Bigalora and various craft brews. Beer and food can be purchased with cash and credit card. The garden also features restrooms and game feeds -- all ages are welcome. The Charity Beer Garden will open at least to two hours before kick-off. 100% of beer sales and tips support the Cancer Support Community of Greater Ann Arbor, providing free support to families impacted by cancer. Join us at the first game on September 8, 2018, at 10 am and enjoy craft draft beer with a view of to the Big House. Visit http://www.cancersupportannarbor.org/game-day-charity-beer-garden/# to view beer lists, food trucks and garden times. Go Blue!